Tributes paid after sudden death of digital producer who was the "best of the BBC"
Tributes have been paid to a senior digital producer based at the BBC at MediaCityUK, who has died suddenly. Damian Cox (pictured right) was described by 6 Music presenter Stuart Maconie as "the best of the North and the best of the BBC" on his radio show this afternoon. Cox, who had worked for the BBC for six years, died yesterday at his home in Chorlton. 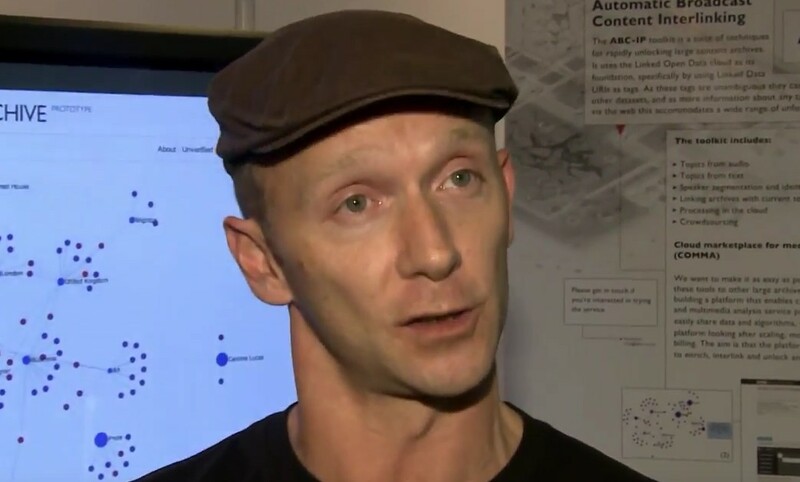 He had been involved with machine learning and AI with the BBC Academy having previously worked as a technical product manager and software engineer on the BBC iPlayer, News, Sport and Red Button platforms. The BBC released a statement on behalf of Alice Webb, Director of BBC North and BBC Children’s, Joe Godwin, Director BBC Academy & Director BBC Midland, and Matthew Postgate, Chief Technology and Product Officer. It read: “Damian worked in D&E, in Dock House, since the beginning of BBC North – and for many of us embodied the collaboration, openness and can-do attitude this place thrives on. Dedicating a song to his family and friends, Maconie described Cox as "a real character", adding: "He was funny, dynamic, creative and warm; he was the best of the North and the best of the BBC."